We will miss you, Don Andrés ! Sometimes, only one footballer misses and a whole generation seems depopulated. And I am sure you can imagine how much we will miss Don Andrés. I remember arguing that football is a full-fledged art and Iniesta is the first example coming to my mind. When I think about the FC Barcelona, I think about Iniesta, not Suarez nor Messi. 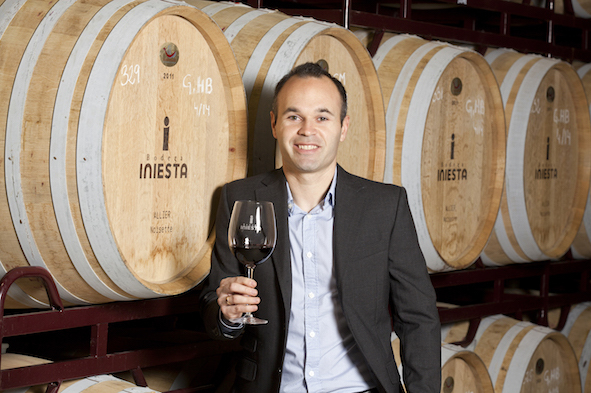 Iniesta is not particularly robust, he is small, with a pale face and has a few hair he can count on. He is an average person, you co-worker or your classmate. Rumour has it that, in the beginning, he did not really put up with the distance separating him from his parents in Fuentealbilla (Castilla-La-Mancha region); looks like you when you’re away from your mum in a two-week summer camp. However, in the football field, Iniesta doesn’t look like anybody else or, to be more specific, nobody looks like Iniesta. He has a meticulous technique, he makes passes he is the only one to have a glimmering of, useful double cut moves and unforgettable goals. He is a simple and quiet man gifted with a high team spirit. His creativity is infinite. Able to find solutions in the most reduced spaces, he understands football like no one else does. Iniesta showered us with joy for many years and to see him live overwhelms us with a feeling of nostalgia. When are we to see someone like him again? It may never happen. When he is not in the field, he takes cares of his vineyards. One day soon, he is likely to offer us a bonafide wine. He once stated: “It is better to cultivate our garden”. Something tell us he got it right. Either playing in the fields or cultivating them, Don Andrés knows how to handle it all. ¡ Que te vaya bien Don Andrés !